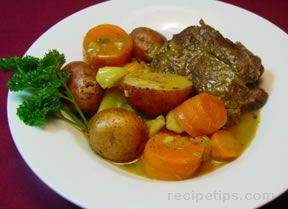 This wine-and-garlic infused roast is a delicious variant of the classic American pot roast. Don't be alarmed by the quantity of garlic; it mellows as it cooks. 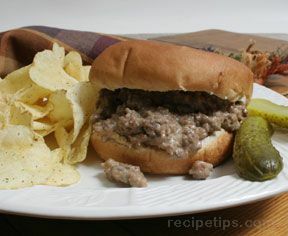 Similar to Sloppy Joes, this Cheesy Joes recipe is quick-and-easy to make. 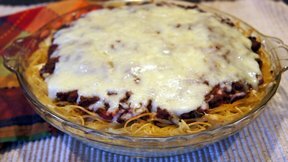 This cheesy hamburger is a great option when you need to fix a meal in a hurry for a hungry family. 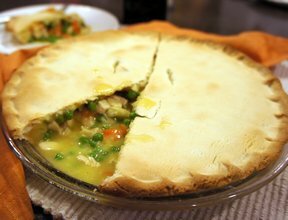 Serve it with chips or fix a Cheesy Potato Casserole for the perfect side dish. 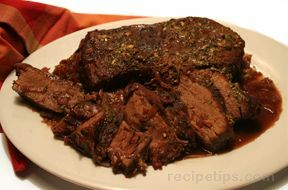 An easy to make sandwich that is perfect for a quick weeknight meal. 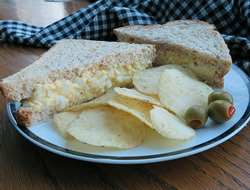 Kids love egg salad for a change of pace from hamburgers, barbecues and hot dogs. A different twist on how to make hot dogs. 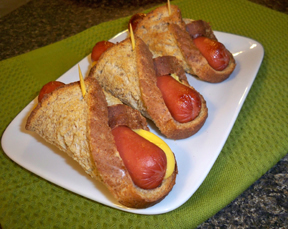 This hot dog is super easy to fix and is perfect to serve to the kids. They would love to help put them together and see them take shape.